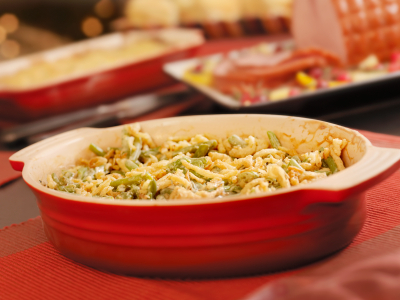 It just wouldn’t be Thanksgiving without a green bean casserole. 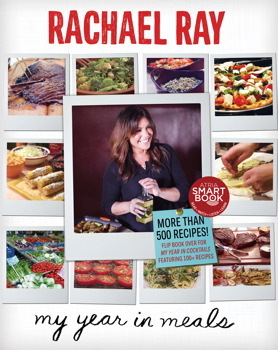 Try this one with a crunch twist, from My Year in Meals. Fill a medium skillet with enough water to reach a depth of 1/2 inch. Bring to a boil, then add the green beans, lower the heat, cover, and simmer until tender-crisp, about 4 minutes. Drain in a colander and rinse with cold water until cool. Transfer to a serving dish. Using the same skillet, melt the butter over medium heat. Add the scallion whites and the mushrooms; season with salt and pepper; and cook, stirring, until golden brown, about 4 minutes. Sprinkle with the our and stir for 1 minute (the mixture will be dry). Gradually stir in the chicken broth and cream and cook until thickened. Season with salt and pepper, sprinkle with the scallion greens, and remove from the heat. Spoon the sauce over the green beans and sprinkle the potato chips on top.